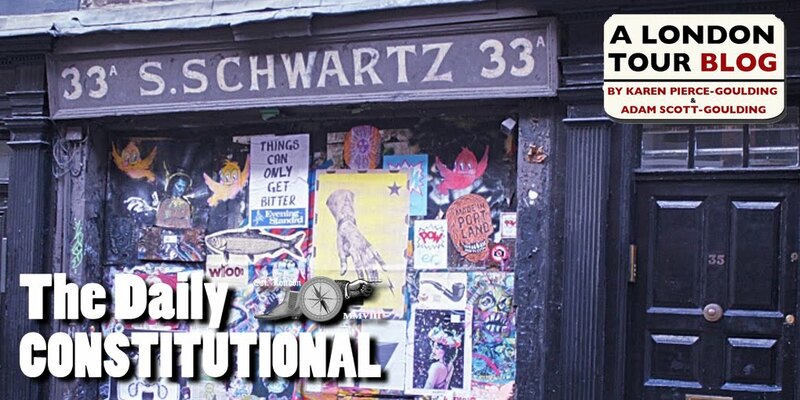 We can’t leave out Fleet Street on our Cartoon and Comic Book Tour of London – even though the national newspaper industry has long since abandoned its spiritual home. Fleet Street as a metonym, however, is still going strong. And it doesn’t seem to want to go away. Twenty-first century TV and radio presenters still refer to the British press collectively as Fleet Street. To put this in perspective, The Daily Mail, one of the UK’s most popular papers, set up shop in Kensington as long ago as 1988. Yet Fleet Street as a moniker persists. The nationals may have moved on, but any paper worth its salt still has a cartoonist – even though it was reported in UK Press Gazette that The Daily Express was keen to dispense with the services of their political cartoonist, news that broke back in January on the same day as the Charlie Hebdo murders. The Express once had a cartoon legacy the envy of Fleet Street. 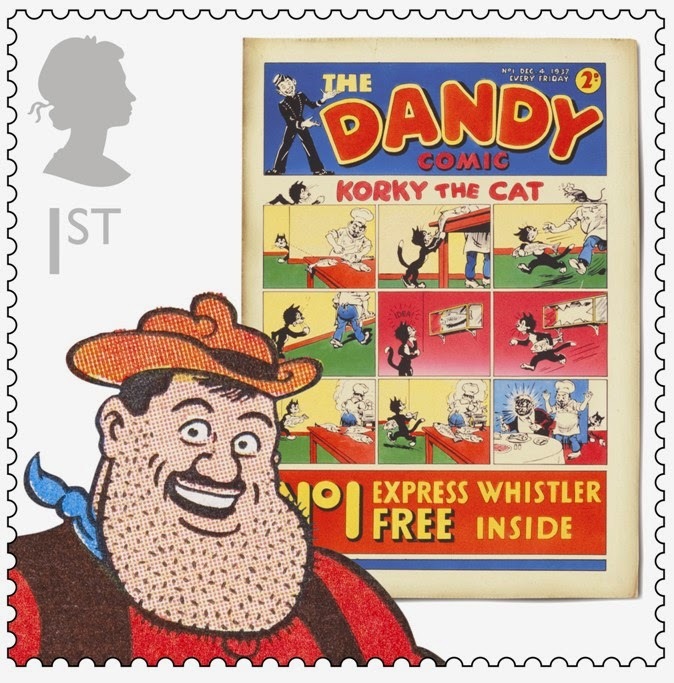 Their strips included Rupert Bear and James Bond, and their political cartoonist was the famous Giles. 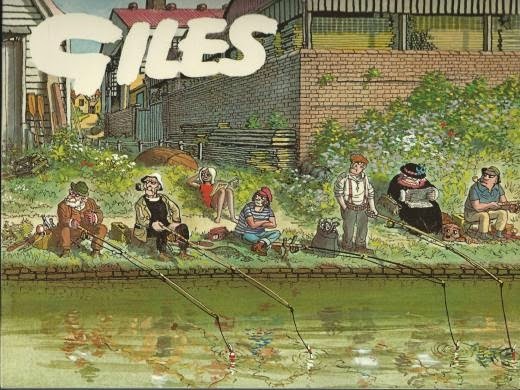 No English home was complete without a copy of the Giles annual. 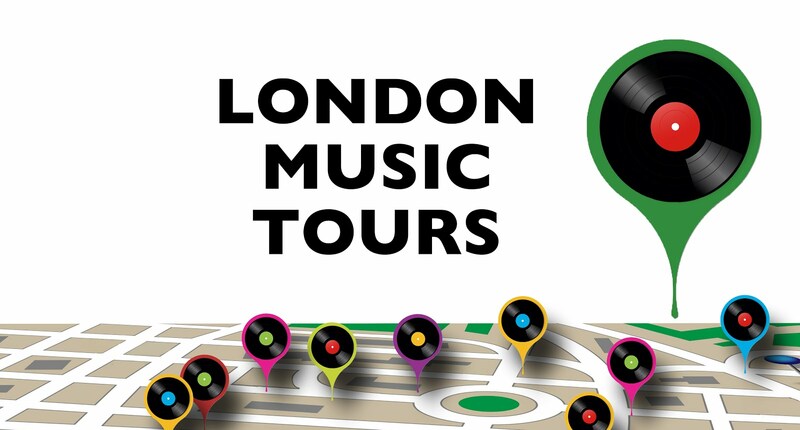 Giles was a Londoner by birth, born Ronald Giles in Islington in 1916. His topical cartoons often featured the family that became his signature, headed by the doughty (and I always thought faintly sinister) Grandma. His collections are still published annually, some 20 years after his death, and can be bought in the bookshop at the Cartoon Museum. The crusader was the brainchild of legendary newspaper baron Lord Beaverbrook. Beaverbrook bought the Express in 1916 back when he was plain old Mr. Max Aitken. The crusader was the emblem of his campaign for free trade between nations of the empire – an initiative he hoped would benefit his native Canada. In 1951 when Churchill was elected as Prime Minister, he disappointed Beaverbrook with his abandonment of traditional imperial policies. In reaction, The Beaver slapped chains on the Crusader – a gesture that was repeated when Britain was invited to join the Common Market (a forerunner of the European Community). 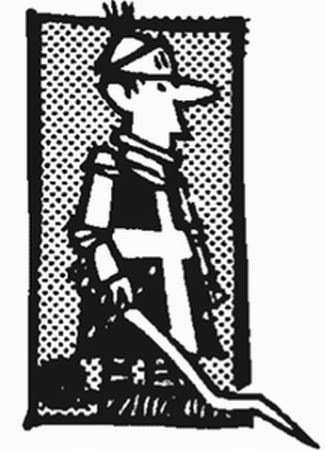 The Crusader remains the emblem of The Daily Express to this day. 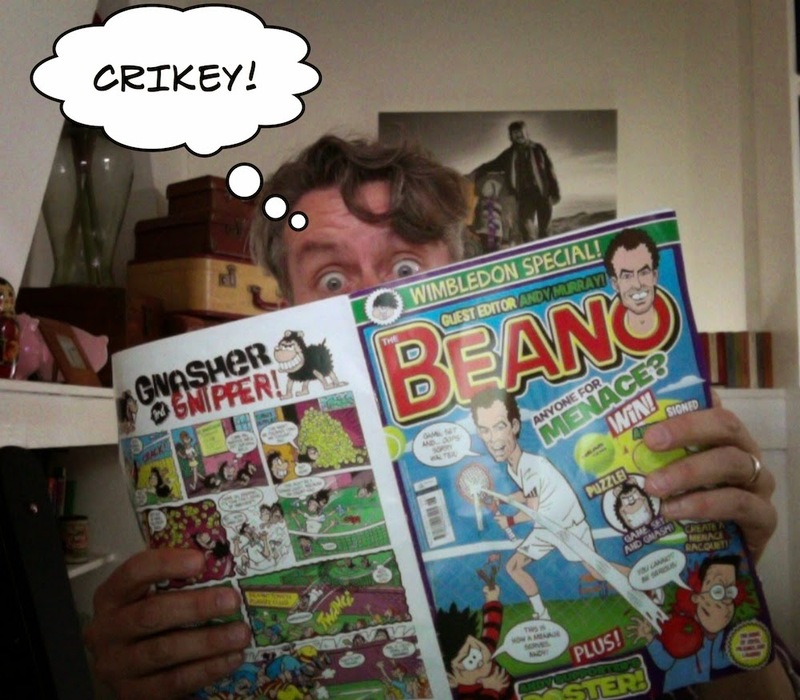 (We blogged about Private Eye earlier in this series). It would be inaccurate to say that rumours of Fleet Street's death have been greatly exaggerated – no national newspapers are left here, and Reuters moved away in 2003. And since the journalists left, other despised and unpopular professions have since moved in with the arrival of the bankers and the lawyers. (How's that for an unholy trinity?) But there is one famous name left standing in the once infamous Street of Ink: D.C Thomson. 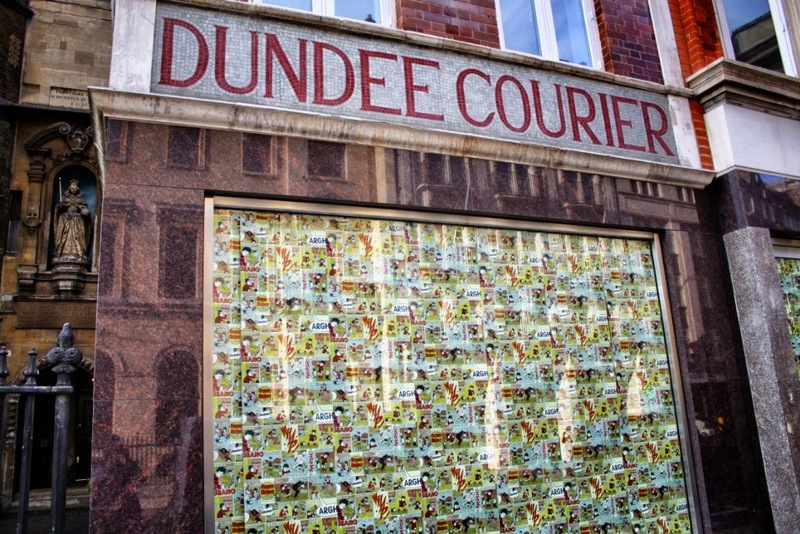 The Sunday Post is published weekly in Dundee and features the legendary cartoon strips The Broons and Oor Wullie, originally drawn by the Lancashire-born artist Dudley D. Watkins – whose work can be seen at the Cartoon Museum in Bloomsbury. 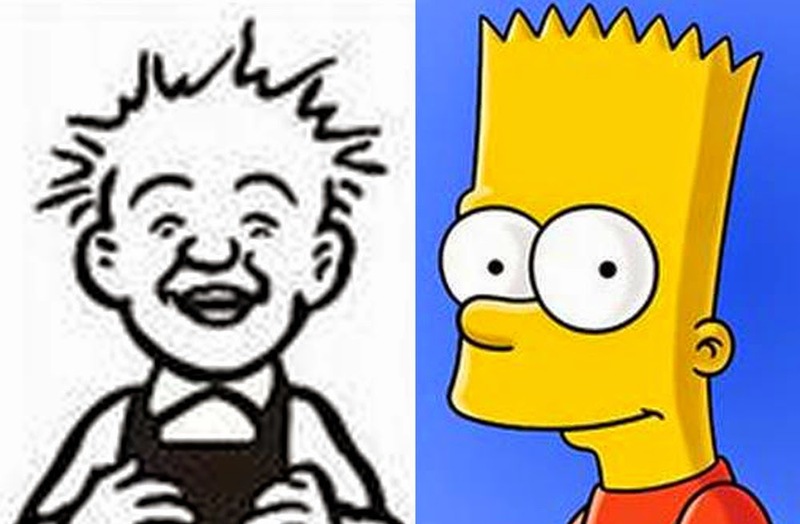 Wullie & Bart. Separated at birth? The Broons strip was famously parodied as The Broonites written by Fountain & Jamieson for Private Eye magazine, to poke fun at our former Prime Minister Gordon Brown. 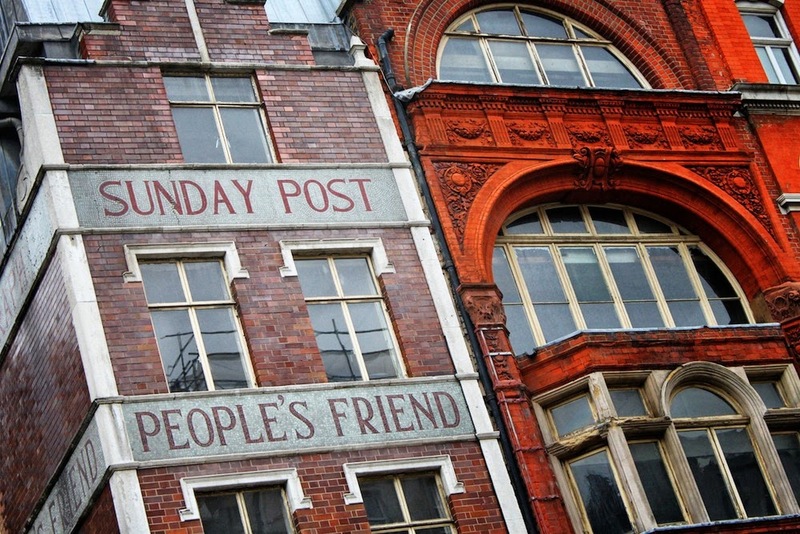 As a child growing up in Scotland it was always a race to get to the copy of The Sunday Post before my father. If my father got there first he would pore over the comics for what seemed like AGES, chuckling away whole I stood jealously by. 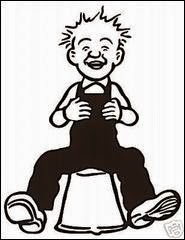 Oor Wullie and The Broons have appeared in The Sunday Post since 1936 and it is claimed that Watkins, along with David Low, was listed as an enemy of the Third Reich for his satirical portraits of the Nazi leadership – see our earlier post for more on that topic. I'll be calling by D.C Thomson on the next Publish & Be Damned walking tour, which looks at the history of journalism in Fleet Street. It meets at Temple Station at 2:30p.m on the 2nd of May 2015. I'll even bring my Broons and Oor Wullie annuals along for you to look at at… as long as you promise not to hog them for as long as my dad. 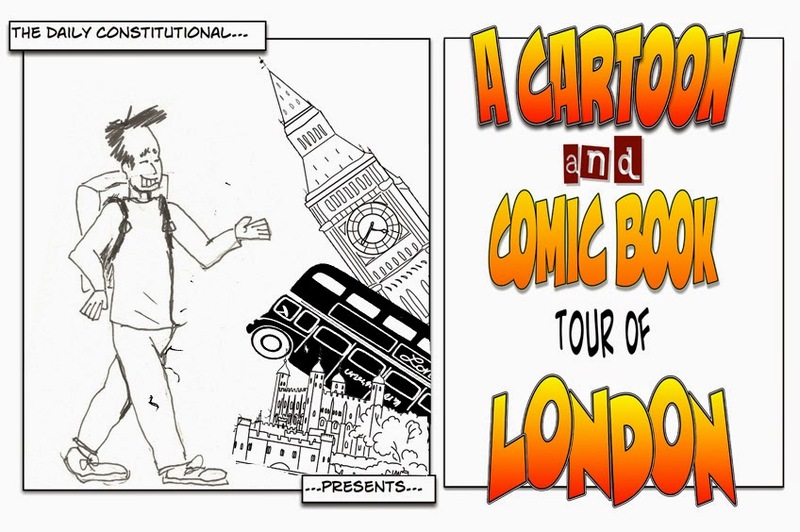 We're almost at the end of our Cartoon & Comic Book Tour of London! Still to come there's more Alan Moore in the East End, a new independent London-set comic as recommended by the folks at Orbital Comics, and we'll be pointing you in the direction of Gosh! comic book store in Soho.